Deprived of basic facilities, people across the suburbs of Balochistan’s Dera Bugti district cannot remember when they last had access to clean drinking water. Facing the worst shortage in over two decades while the authorities concerned bat no eye, residents of Habib Rani and Pattokh have been dependent on rivulets and puddles of muddy water for daily use. 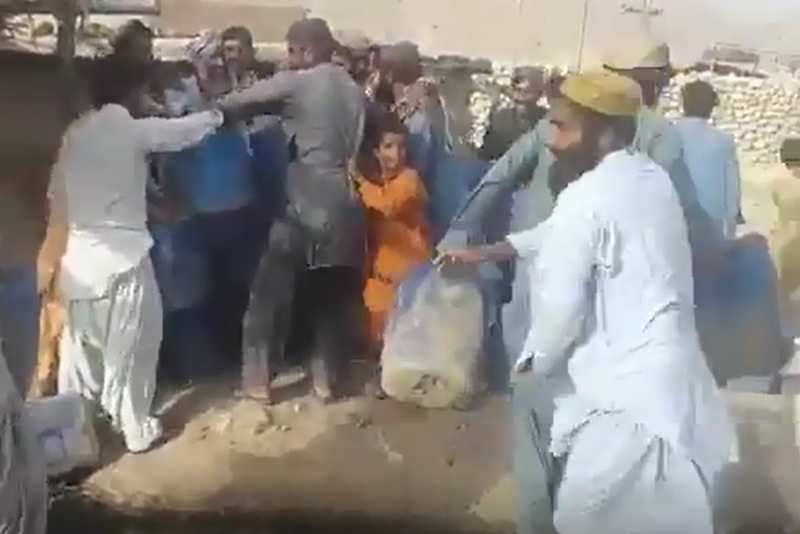 In a video making rounds over the internet, the locals of the area can be seen fighting as they struggle to collect water from what appears to be a fresh water source. Protests are also being held on a daily basis in the district as people long for a facility as basic as drinking water. Speaking to Pakistan Today, one of the protesters said that their representatives had failed them. “They can dig thousands of metres below the earth’s surface to extract gas, but no one bothers to dig a few hundred metres and provide us with fresh drinking water,” said Azam. He also said that as many as five gas fields were operating in Dera Bugti, but locals, including him, neither had gas, water or electricity. Azam also complained of lack of hospitals and schools in the area. Inevitably, generations of families across the suburbs of the country’s largest province by area have been affected by water-borne diseases like diarrhoea, cholera and more. There are very few locals left who hope that the situation will change sometime in the near future. It merits mention that in Balochistan, annual precipitation ranges from 50 to 500mm. Locals have to walk miles to fetch one container of water to meet their daily needs. According to reports, 62 per cent of Balochistan is deprived of potable water and more than 58 per cent of its land is uncultivable due to water scarcity. The water needs, in the meantime, are at rise owing to the increase in population. On Saturday, Balochistan Chief Minister Jam Kamal Khan said that resolving water crisis in the province was among the top priorities of the provincial government. He also expressed the hope that by nurturing relations with the federal government, the long-lasting issues of Balochistan could finally be resolved.